Having changed jobs and moved house November had been a busy month, but I had tried to keep up training from my new location of Poole, it had gone ok and I was getting to know my new surroundings. I was really looking forward to the first round of the 4 hour Brass Monkeys series, I always enjoy them and it helps to shake the winter blues. 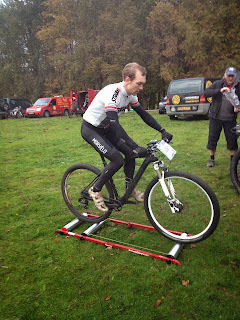 The first round was at Minley Manor, which had been the venue for Torq 12:12, my last competitive race. The venue had been logged heavily but the Gorrick crew had still put together a great course, with a mix of singletrack and fire road, with a few sections of bombholes. 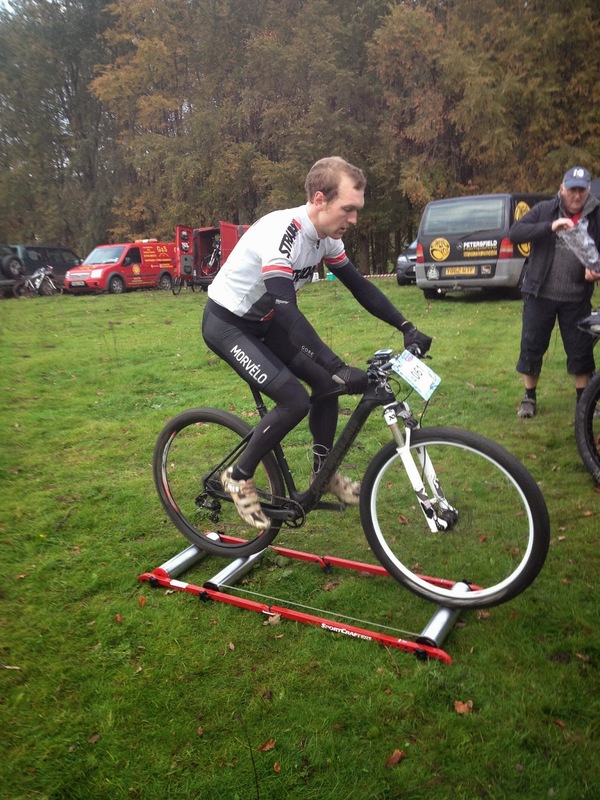 I was expecting it to be freezing so I had brought my training rollers to get thoroughly warm before the race. I got off to a good start, although I didn't feel like I had much zip. 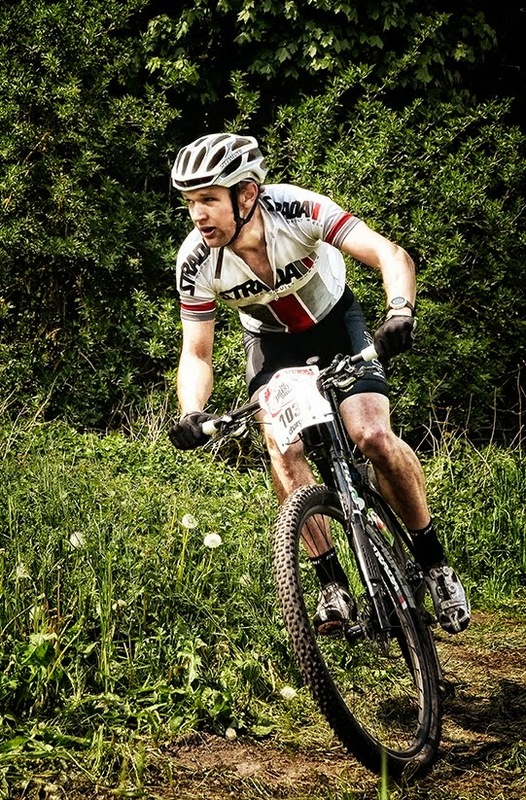 The first lap went ok, I dropped off the lead group after quarter of a lap but I tried to settle into my own rhythm, but I had the nagging feeling my tyres were too hard, which was knocking my confidence and reigning in my singletrack pace. At the start of the second lap I caught a tree root at a poor angle and lost the front wheel, which happened to smash into a tree! I went down, but I wasn't hurt, my bars had twisted, I righted them quickly and got rolling but my front wheel was buckled badly, I limped round the rest of the lap. I swapped to my spare wheel and it immediatly felt grippier. I got to work making up the 5+ minutes i'd lost! The rest of the race went without issue, I felt strong, I made it back up to 12th place, not good enough, but not bad considering. 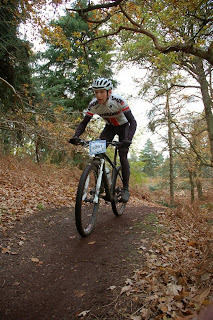 Lesson learnt: soft tyres!! !